We provide offsite monitoring services for commercial and residential premises, ensuring optimal security of your people and property during after-hours and on weekends. As the threat of crime continues to increase, businesses and households look for a more cost-effective way to monitor and safeguard their premises. MODE Fire + Security provides an innovative solution to the problem in the form of our remote monitoring services. Designed to offer round-the-clock visibility and optimal control to business- and homeowners, our remote monitoring services offer you an extra layer of protection against various security risks. At MODE Fire + Security, we specialise in all aspects of remote monitoring, helping you avoid the risk and inconvenience associated with having your own staff overseeing the premises in closed hours. Whether your priority is the safety of your employees or the security of your high-valued assets, we will deliver you the right solution according to your needs and budget. For remote monitoring of CCTV surveillance systems, we use EMCS Independent Monitoring to detect and report any unusual activity. We offer our remote monitoring services to homes and businesses across England, Wales, Scotland, Northern Ireland, and Europe. 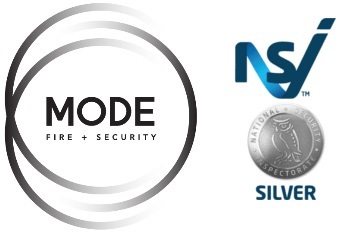 By choosing MODE Fire + Security as your preferred provider, you can have peace of mind knowing our remote monitoring services are designed in compliance to the standards set by the NSI. To learn how we can help protect your home or business, please call us on: 0161 776 1331. © Mode Fire & Security Ltd 2016-2019. Registered in England 10490197. NSI. Recognised by all major insurers. NSI certificate of excellence.